The Tencent-backed shopping platform priced its shares at US$19, the top end of its range. 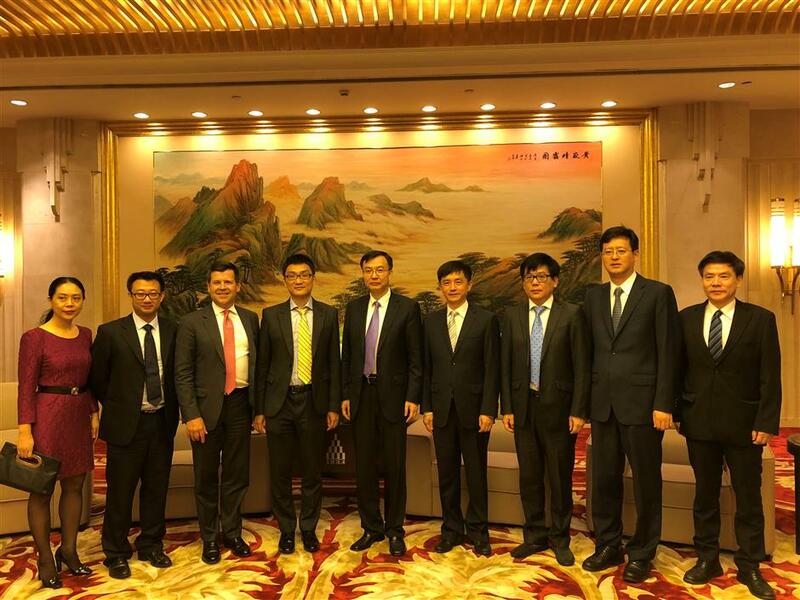 Shanghai vice mayor Zhou Bo (middle) with Pinduoduo chairman and founder Colin Huang (fourth from left) and Nasdaq senior vice president Robert McCooey (third from left) yesterday. Tencent-backed shopping platform Pinduoduo priced its US initial public offering at US$19 per share, raising US$1.63 billion. Trading on the Nasdaq began yesterday, New York time. The price, at the top of its range of between US$16 and US$19 a share, gives the three-year-old company a US$24 billion market capitalization. The e-commerce platform joins a number of Chinese Internet companies seeking offshore listing as competition with domestic rivals heats up. About 40 percent of the funds will be used to enhance and expand business, 40 percent for research and development and the remainder for general corporate purposes, according to its prospectus filed with the Securities and Exchange Commission. Pinduoduo said it had 103 million monthly active users of its mobile platform at the end of March. Thanks to a large user base, largely accumulated through Tencent's WeChat, Pinduoduo has quickly become a major challenger to leading e-commerce firms such as Alibaba's Taobao, and JD.com. Following the listing, founder and chairman Colin Huang, a former Google engineer, will hold a 46.8 percent stake and 89.9 percent of the voting rights. Tencent will own 17 percent.